The Lorain Police Department is committed to providing people of our community with quality law enforcement and to treating citizens in a manner in which is courteous, helpful, and responsive. We believe integrity is the basis for community trust and we set high standards for the personal and professional conduct of all our employees. The Department recognizes that occasionally citizens may not be pleased with the police service provided. The nature of the job means that some people will be unhappy: traffic citations are issued; arrests are made; public peace and safety must be maintained. Other times, misunderstanding causes dissatisfaction; citizens may not always be fully aware of how laws are interpreted and enforced, of the authority and discretion granted police officers, or of Department policies and procedures concerning officer conduct. Finally, since police officers are human beings, they can make mistakes, exercise poor judgment, or act in an unprofessional manner. 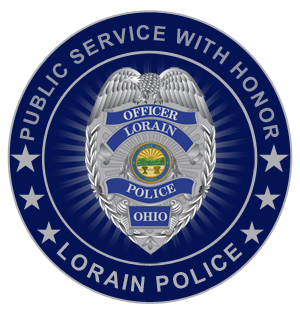 At the Lorain Police Department, we hold ourselves to high standards of moral, ethical, and professional conduct. Your cooperation helps guarantee that we consistently meet those standards. Any citizen having a question or complaint about police service in our community is invited to contact the Department to bring those concerns to our attention. The following instructions will ensure that your concerns are handled promptly and professionally. If you wish to inquire about laws, policy and procedure, or the handling of a particular police matter, please stop by the Lorain Police Department at 100 West Erie Avenue, Lorain, OH 44052, or call the Department anytime at (440) 204-2100. A supervisor will be contacted to address your concerns. If a supervisor is not immediately available, the dispatcher will take your name and phone number, and have a supervisor contact you at soon as possible. Due to the nature of police work, calls sometimes cannot be returned immediately, so we appreciate your patience and understanding. If you have a serious complaint against the Department or any of its employees, you are encouraged to make that complaint in person at the police station. A supervisor will be contacted to hear your complaint and can assist you in filling out the complaint form if necessary. You are not required to meet with a supervisor however and may take and complete a complaint form on your own. Once completed, the complaint form should be returned to the Department in a sealed envelope addressed to the Office of Professional Standards. The office of Professional Standards will notify you when your complaint has been received. Your complaint will be thoroughly investigated. As part of the investigation process, the accused employee(s) will have an opportunity to respond to the allegations. In addition, the assigned investigator may have the need to contact you for additional information about the incident. Minor complaint investigations should be completed in 30 days. Major complaint investigations normally take 30 to 60 days to complete unless circumstances necessitate additional time. Once the investigation has been concluded, you will be notified in writing of the disposition of the complaint. If the allegations are so serious the accused employee could be disciplined to the extent of being suspended, demoted, or terminated, you may be asked to take a truth verification exam at the Department’s expense and/or testify at the employee’s administrative hearing. If the allegations result in criminal action against the employee, you could be subpoenaed into court to testify. Any person who believes that his or her allegations have not been taken seriously, investigated thoroughly, or resolved satisfactorily, may submit a letter stating their concerns to the Lorain Safety Director. Commendations received by the Chief of Police for any Lorain Police Department employee will be forwarded to the employee and may be included in his/her permanent personnel record.